It seems we have come full circle in our mission. With a government bent on stifling dissent, with public space almost completely commodified and placed under total surveillance, with our private lives turned into fodder for marketing and branding campaigns, with the notion of access to “free information” offered up as a panacea that somehow can replace the need for investigation, reflection, education and action, a place like City Lights becomes more important than ever. …The point was always to awaken and inspire, to sound the alarm against the deepening consumerist slumber and the violence of capitalism run amok. 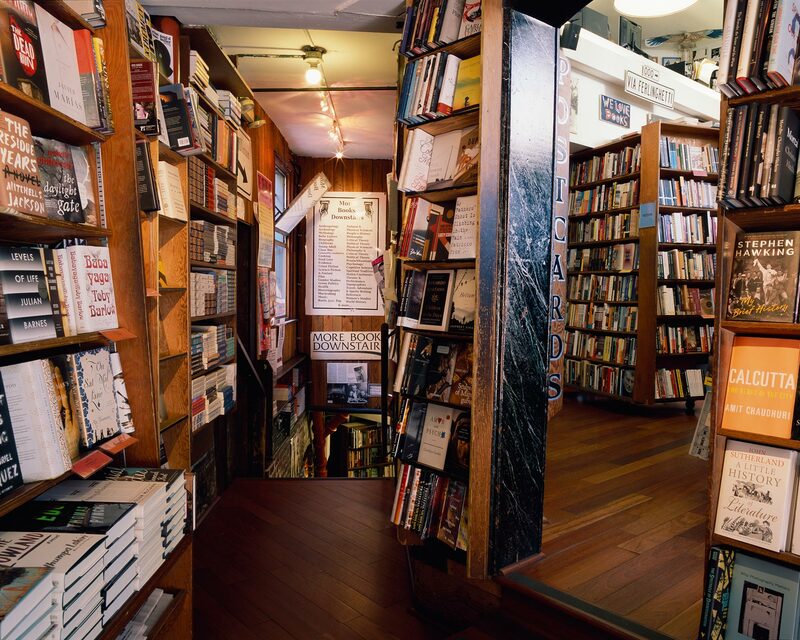 Books offer keys to visions and revelations, and a bookstore offers a place to encounter a community of others who might share them. That is why we’re still here, because there is a real and potent value in that. We know that the world is wide, and that being online is important as well. It’s another way to reach people and connect them to one another, with the same kinds of knowledge and ideas and cross-fertilizations that we’ve always had a role in promoting. But there is nothing like coming to the bookstore. Something will always unexpectedly grab your attention, shake you out of your complacency, inspire your curiosity and affirm your sense of belonging to a tribe of intelligent and sensitive beings who cohabit this world along with you. It’s a place to rejuvenate hope and commitment, and it offers a safe harbor for many of us in an increasingly stormy world.